While helping small farms in Alabama, researchers at The University of Alabama and the University of West Alabama hope to provide agricultural solutions that assist a class of nutritious vegetables to last longer in supermarkets and kitchens. The project aims to help microgreens, young and tender vegetables packed with flavor and nutrition, extend their freshness after harvesting, along the way improving their value as both a food and agricultural product. 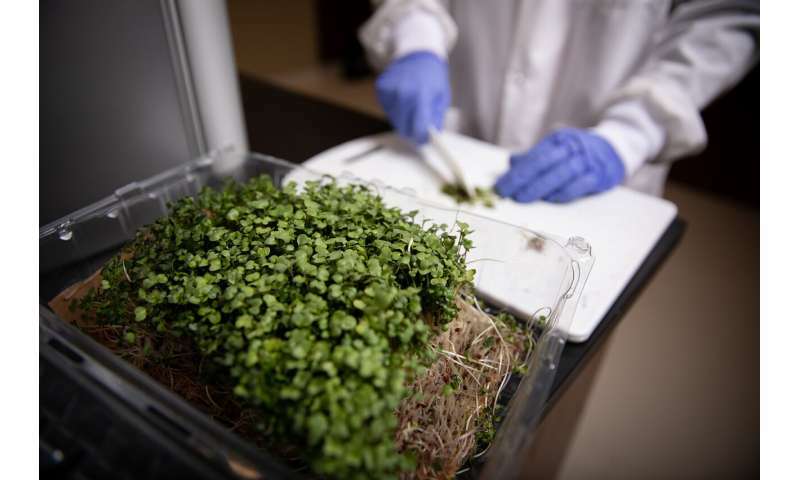 "The demand for microgreens steadily increases along with considerable profit margins, but they are highly perishable and have a short shelf life," said Dr. Lingyan Kong, UA assistant professor of human nutrition. "This limits adoption by farmers." 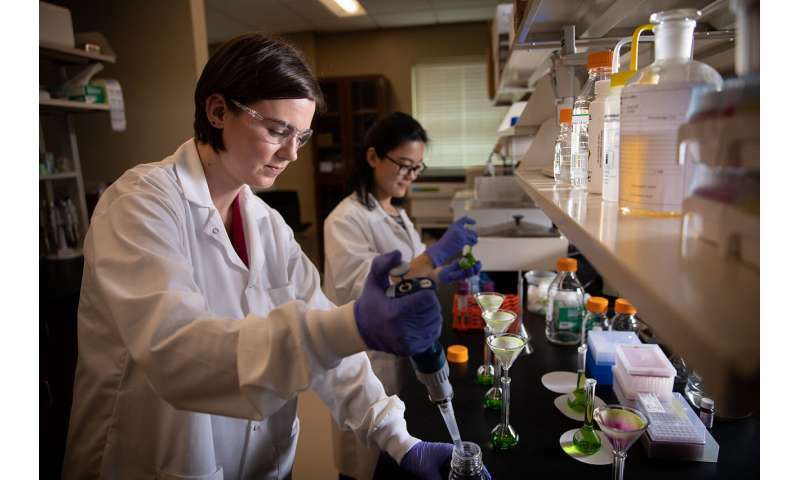 Kong, a food scientist, is working with Dr. Libo Tan, UA assistant professor of human nutrition, and Dr. King Tiong, assistant professor of microbiology at the University of West Alabama. The U.S. Department of Agriculture and the Alabama Department of Agriculture support the work. During the research, the trio of scientists is partners with Spencer Farms and Alabama Microgreens, family-owned, organic farms in rural Alabama that grow microgreens and other plants. The farms sell microgreens to farmer's markets, supermarkets and restaurants in the cities and areas around Birmingham, Montgomery, Huntsville, Selma and Tuscaloosa. "Just extending the shelf life of the microgreens by one more day will improve profitability of microgreen farmers," Kong said. Microgreens are younger than sprouts and are sold, and sometimes eaten, whole with the seed, root and shoot. Farmers harvest microgreens before the plant reaches maturity, cut just after the first true leaves grow and sold with stems. A specialty crop of common vegetables, microgreens are nutrition-dense with intense flavor and vivid color. They are usually more expensive than full-grown, fresh produce because they are delicate to grow, harvest and transport with a shelf life of less than 10 days. "They look cute," said Tan, a nutritionist. "Right now, people are not as aware of these microgreens as they could be, so helping more people realize they are available is one of the reasons for this study." The idea of shelf life for fresh produce generally refers to sensory qualities, such as smell, taste and appearance, along with nutritional value, which declines after harvesting. Not surprisingly, customers want fresh microgreens since they are often eaten raw. The study looks at post-harvest interventions, such as temperature control, packaging and washing, to extend shelf life, evaluating changes to see the effects. "Every type of microgreen is different, so we want to see how these treatments affect the shelf life," Kong said. Washing microgreens can be difficult because of their tenderness, but a wash that rids the plants of possible harmful microorganisms could help them last longer. Dr. Tiong, a food microbiologist at UWA, is examining the bacterial and fungal safety and spoilage of microgreens. "These two variables are the limiting factors of microgreen shelf life and quality," Tiong said. Tiong's group, which includes three undergraduate students, has tested fresh and refrigerated microgreens from supermarkets and the family-owned, organic farms. The testing showed a difference in microbial counts between fresh and refrigerated greens, but further analysis is needed to determine how the increased presence of microbes and fungus affect spoilage. The UA team is also researching nutritional value, including comparing the microgreens from local farms to microgreens from larger, commercial farms found in supermarkets. They are also performing an analysis to understand consumer perception and preference of locally grown and commercially grown microgreens. Early testing shows chlorophyll in the microgreens, which gives plants their green color and converts sunlight into complex carbohydrates for energy, is more abundant in the samples from local farms than those bought at a supermarket. It could suggest the microgreens from the family farm are more nutritious, but more work is needed, Kong said. Kong hopes the findings encourage this specialty crop among farmers in Alabama, while helping local farms improve their product, and offer information to improve microgreens at any size farm.